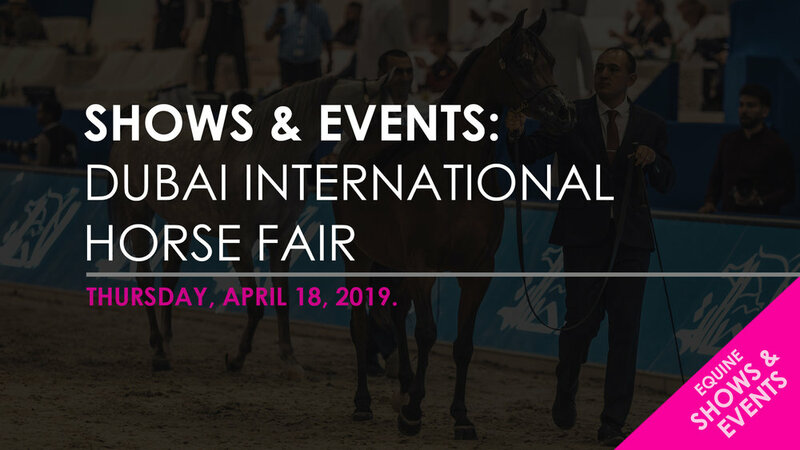 It was such a beneficial learning experience at the Dubai International Horse Fair. You all got to see what the booths are like over there and also some activity from the warm up ring, now here are some pictures. It's unfortunate that I was unable to attend the second day due to being sick, I would have spent that day covering more products in the booths. Otherwise it was a great time with so many things to do and see. Overcoming adversity is one of the biggest principles in life as it can make or break you. Without a doubt I had my share of challenges leading up to and on the day of the Dubai World Cup. You don't grow unless you face adversity and the Dubai World Cup will go down as one of the biggest pinnacles of my career, not just in terms of the accomplishment but what it took to get me there and the complications that I had to overcome to get it done. Meydan Racecourse doesn't allow for infield access to any photographers and videographers and the only way to get footage from there is by setting your camera along the rail and controlling it via remote, which I did not have either a remote or a third camera on me to set along the rail there. Unfortunately, there was absolutely no way for me to bring a third camera with me unless I had someone flying with me. This is just one of the many sacrifices that I had to make. I believe that kindness goes a long way. Paralyzed from the waist down, this very nice kind man was so happy when I approached him to ask if I could take a picture of him. As soon as I saw him in the huge crowd, I knew that I had to take the time to give him some kindness. He should be given all the attention in the world but instead he was given none. I showed him his picture afterwards and he was delighted and said it just made his day knowing that he was greatly respected. Just hearing those words from someone that I just met made my day as well. 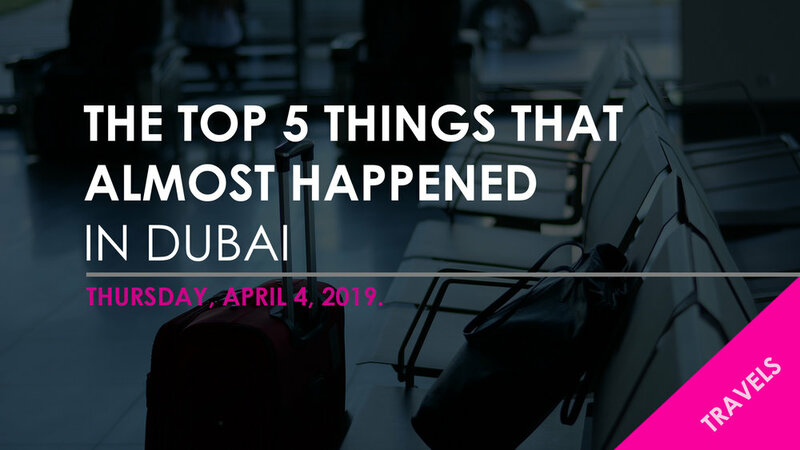 Here are the TOP 5 things that almost happened in my time in Dubai (both good and bad). The day after the fair ended, I was commuting in a taxi to Dubai Arabian Horse Stud and we just about had a sideways collision with a bus at 100km/h because the taxi driver failed to stop for a red light. Had this happened, the second half of the trip would have ended much differently. Thank god this did not happen and I was able to safely arrive at Dubai Stud that morning but it gave a real scare and it was an absolutely horrific experience making it there. 𝟮. 𝗣𝗼𝗹𝗼𝗰𝗿𝗼𝘀𝘀𝗲 𝗮𝘁 𝘁𝗵𝗲 𝗗𝘂𝗯𝗮𝗶 𝗖𝗵𝗮𝗹𝗹𝗲𝗻𝗴𝗲 𝗖𝘂𝗽 𝗙𝗶𝗻𝗮𝗹. The only reason this did not happen is because this event was on the day before the Dubai World Cup and I was busy preparing for the races, otherwise this for sure would have happened. 𝟯. 𝗭𝗶𝗽𝗹𝗶𝗻𝗶𝗻𝗴 𝗶𝗻 𝗗𝘂𝗯𝗮𝗶 𝗠𝗮𝗿𝗶𝗻𝗮. This is the worlds longest urban zipline, you come down from 170 meters and hit a top speed of 60km/h. This is not a cheap activity to do but I received a great offer and I very much considered it over the Burj Kalifa but I did not go through with it simply because my back started acting up shortly after I arrived in Dubai and it was not worth the risk of aggravating it, otherwise I probably would have done it for the thrill. I am terrified of heights but I have ziplined before and really enjoyed it, though nothing even close to the magnitude that the Dubai Marina zipline offers. I showed you all what many barns in Dubai look and feel like, I then wanted to show what a tack store in Dubai looks like and their line of products. There are not very many tack stores in Dubai but I wanted to show this one with a tour because they have a very extensive and different product catalog when it comes to horse tack. It's also two floors and it lights up at night. 𝟱. 𝗦𝗵𝗼𝘄 𝗗𝗿𝗲𝘀𝘀𝗮𝗴𝗲 𝗮𝘁 𝘁𝗵𝗲 𝗘𝗺𝗶𝗿𝗮𝘁𝗲𝘀 𝗘𝗾𝘂𝗲𝘀𝘁𝗿𝗶𝗮𝗻 𝗖𝗲𝗻𝘁𝗿𝗲. Though I have taken pictures of what you would find in a dressage show, I have yet to photograph one. I couldn't swing this one because it came in really late and I had already made plans for other things, otherwise this was kept as part of the Plan B. Here was the very end of the Dubai World Cup where the current ruler of Dubai, Sheikh Mohammed bin Rashid Al Maktoum made his appearance on stage. This was during his exit, since I was too busy taking pictures when he was up on stage. It was extremely crammed as everyone was fighting to get a view of him and there were some arguments because some started pushing and shoving. Not every photographer there part of the media was able to get pictures of him, thankfully with well thought out planning I was able to - just wait until you see the portrait I got of him. He also made appearances to the entrance ring between every few races. Heading back home tonight, the past 15 days have been a roller coaster ride but one full of experiences (both good and bad) and lesson's to be learned. There is no place like home and many of the little things in life, you don't truly appreciate just how lucky you are to have them in your life until you are in another country where you no longer have access to them. I've greatly missed the barn life and driving so it's going to be nice to have both back again. It's going to be a long one, as I have three flights with the second one being 10 hours. I recovered from my jet lag really quick when arriving here and hopefully it will be the same when I arrive back in Alberta. The plane just throws my sleep and appetite off since I can't sleep sitting up and airplane food leaves a lot of be desired. Fingers crossed that I don't have too much difficulty getting past the Dubai airport security. When I get back I will list the top 5 things that almost happened on this trip. This should be an exciting read. For those who have asked what the hotels are like here. My previous hotel that I just spent 11 days in was just okay, despite the food being very good and being given the presidential suite the entire time. I definitely would not stay there again simply for the fact that the taxi driver that scammed me for 630AED earlier this week is one of the hotel's drivers. I had a mysterious charge of 200AED on my room deposit refund receipt as I was checking out yesterday. Thankfully, I noticed it right away and had the charge removed. It's sneaky practices like this that makes a lot of people not want to travel to big tourist cities. Now being on the other side of the creek, here is the view from a 5 star. The hotel itself and the room's are just extravagant including the 6 restaurants but the views are something else from the 36th floor. It has multiple outdoor swimming pools and multiple patios on different levels to dine or relax on. It's ironic that I feel much more nervous looking out of this window from the 36th floor than I did up on the 125th floor of the Burj Khalifa. There is a stunning black horse monument in the lobby, too bad I can't get a picture of it to show. It's too bad I can't show you all inside this hotel, everywhere you go, every corner you look around, it's just world class architecture. Easily some of the best building interior I've ever seen.